I’m probably not alone in being astounded that we are now into November and racing towards Christmas. Where has the year gone? As I sit here, as the sun is setting on this Halloween, I’m thinking that we mark our lives by festivals and events that come and go ever more frequently. I’m remembering all the years as my son was growing up, decorating the house with the same ghouls and scary spiders and always the wonderful moment of lighting the messily carved pumpkins and putting them outside to welcome the children we hoped would arrive. I suppose I am a traditionalist and I like to do the same things at the same time every year….. so this year is a little different as my son is now away at university. So, for the first time, there are no carved pumpkins, just a rather sad little plastic pumpkin, with an led light. 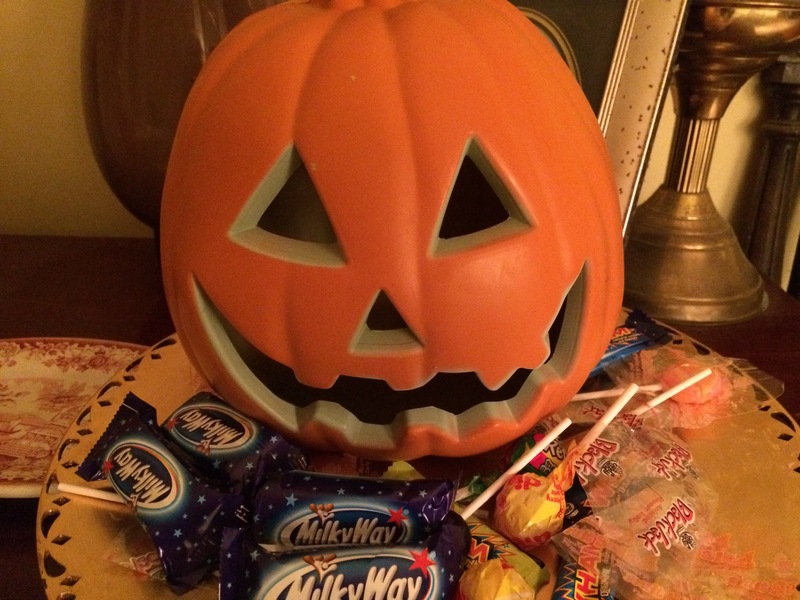 But nevertheless it is wonderful when there is a knock at the door and groups of children with their accompanying adults appear wide eyed and expectant… so I confess that the tradition of Halloween is special for me still. Traditions and rituals of course define us as people and as individuals. Our response to them says a lot about our personality and about our perspective on many aspects of society. We are, for example, divided into those who do or don’t do, Halloween. Just as there are those who do or don’t do, God. And I truly believe that it doesn’t matter whether we do or don’t do, God. What is important is that we don’t judge each other for our own beliefs. I think it is a sad fact of humanity that there is a tendency for snobbery within all of us, if we dare admit it. In so many aspects of our lives, we judge each other. We see it everywhere, from whether we voted Leave or Remain, to even something as simplistic as whether we read a broadsheet or a tabloid, it is in every area of our lives, that we judge each other. And in all of this, we become a member of a tribe. The Archbishop of Canterbury, in a recent interview, said he “doesn’t do tribes” and that is laudable. If only we could all be so transparent. Those who do Religion and those who don’t, seem to me to be becoming two separate tribes and that is all very well, as long as they both respect each other. This week I confess to being a little disappointed at some of the comments about Thought for Today on Radio Four. Of course, it is not for everyone, but there should be room for it in 24 hours of broadcasting, particularly in a world where religious literacy is becoming ever more important. It seems Religion is an easy target to knock and that somehow, people who buy into it, are old fashioned, fogey-ish and not quite modern enough to play a respected part in today’s society. Somehow, consensus seems to be that secularism is much more modern and should be respected to a greater extent. I think the challenge to all of us is to try to step outside of our ” tribes”, to be courageous in our acceptance of others, to speak up for our individual moral beliefs and understand that we are no more intellectually superior or inferior to one another. It is interesting that today is also the 500th anniversary of the Reformation. A time of schism and judgement on so many levels. But today, a determination for closer unity between the Roman Catholic and Anglican Churches gives new hope for the future. So, as I close up the house, with most of the orange and green sweets eaten, another Halloween done and dusted, I’m thinking that as we now head off towards Christmas, we should take the opportunity to embrace tradition with a new invigorated hope that understanding and embracing our differences can and must become our strength. Thank you for reading this. Here’s a picture of my plastic pumpkin……. Previous Post Fortunes and Foodbanks…….